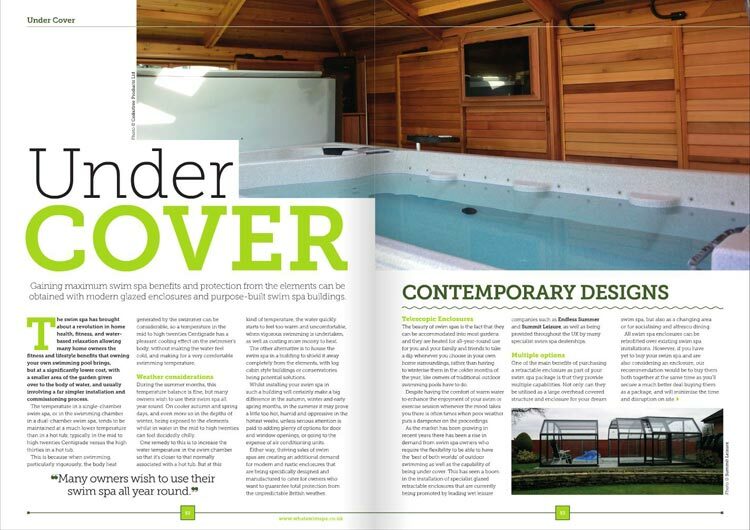 This edition is full of spa reviews as well as top tips on buying, owning and maintaining your very own swim spa. Don’t buy a swim spa without it! 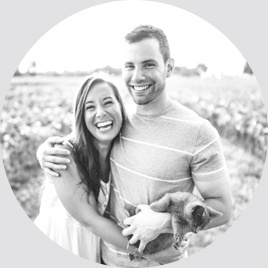 Making choosing your Swim Spa easy! WhatSwimSpa? 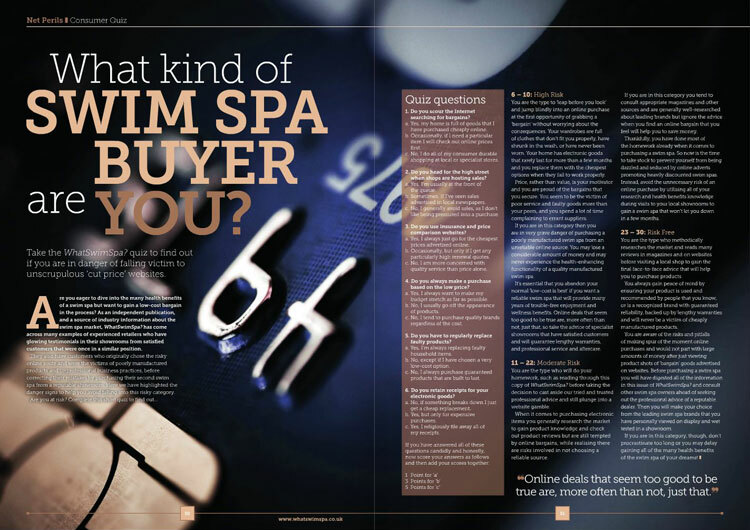 is the UK’s leading consumer swim spa magazine and has advised and informed hundreds of thousands of swim spa buyers across the UK for over 10 years. Containing invaluable INSIDER SECRETS and TOP TIPS for every potential swim spa buyer to avoid common pitfalls and potentially hazardous grey imports commonly sold via the internet. 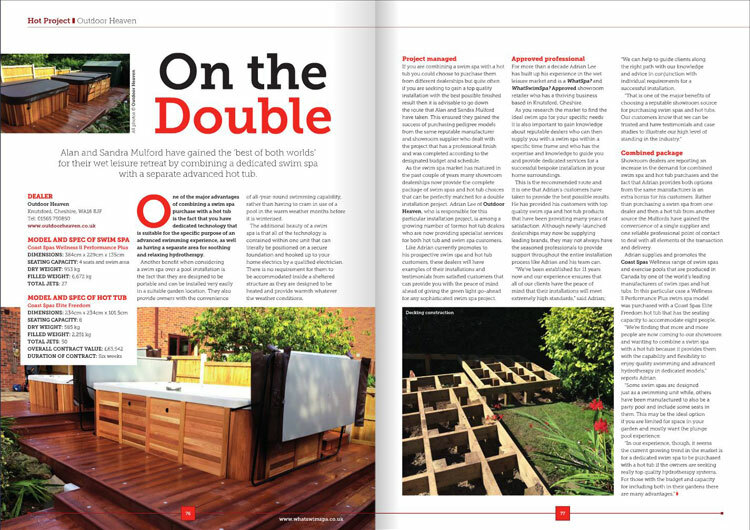 The Best Buy Awards section within the magazine, features 24 pages crammed full of the very best swim spas with specifications, ratings and our WhatSwimSpa? verdict! They say that the best things come in small packages and in this case they are right! The Catalina Spas Mardi Gras is a swim spa and party spa all rolled into one. It features the Catalina Pro swim training system which gives you a low-impact, full-body workout that builds muscle, increases endurance and burns calories. Bench style side seating running along both sides means the Mardi Gras can double up as a huge party spa and can provide a carnival atmosphere for up to 11 people at your next garden party. 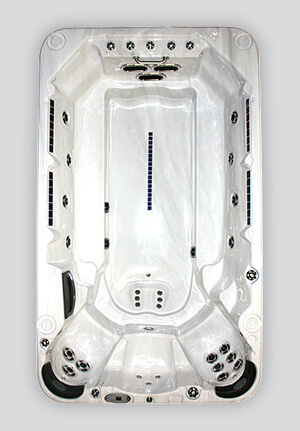 Overall a great party spa /swim spa combo that packs an amazing punch for its price point. 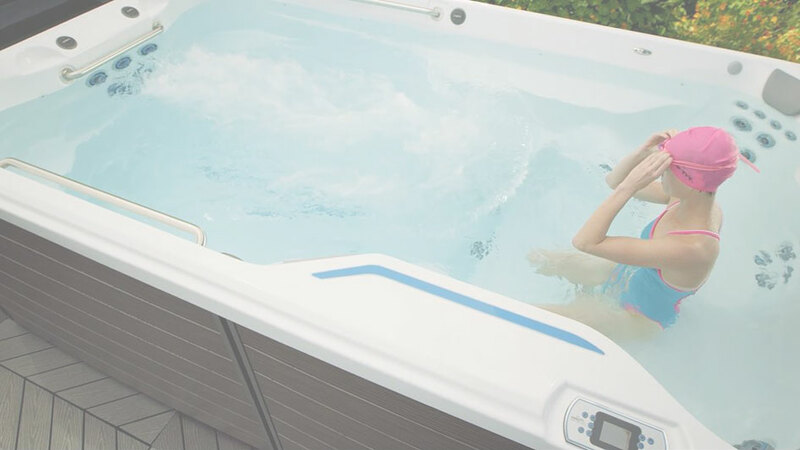 Regency Spas is a relative newcomer to our Best Buy Award plaudits and is brought to our shores by retailing powerhouse A5 Spas, with a growing network of independent showrooms dotted around the UK. 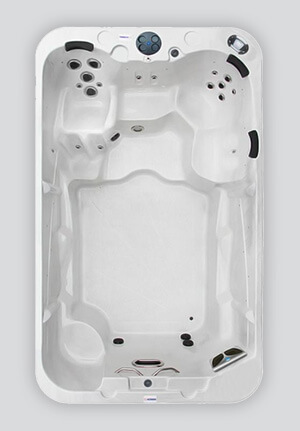 The Empress is the pick of a brand new range of swim spas that are set to blast the sub £15k market apart with a fully-loaded spec that includes a floating remote control, and a large swim lane with the capability to personalise your swimming programme. The swim experience is powerful yet adjustable and four comfortable hydrotherapy seats, including a Captain's seat, top off the post-swim experience. A great value swim spa for both swimming enthusiasts and families alike. The WhatSwimSpa? 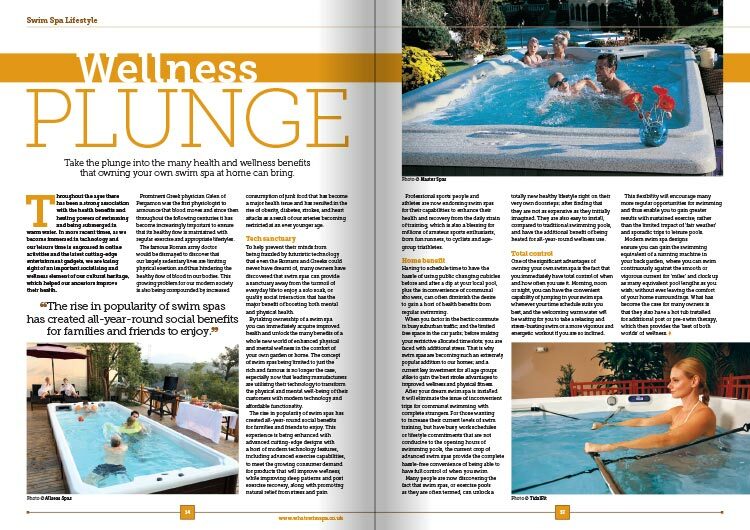 magazine helped us to pick the perfect spa for ourselves whilst taking onboard all your invaluable advice. In March, 93&percnt; of our readers took advantage of our approved WhatSwimSpa? 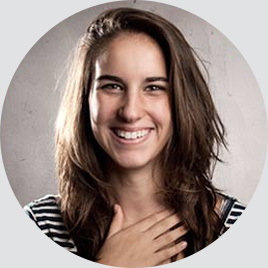 Genie™ advisory service for swim spa deals in the area - knocking an average of £1,054 off their purchase. To hear about the best swim spas around , simply select YES please. YES please (I want the best offers from my local WhatSwimSpa? Approved suppliers*). 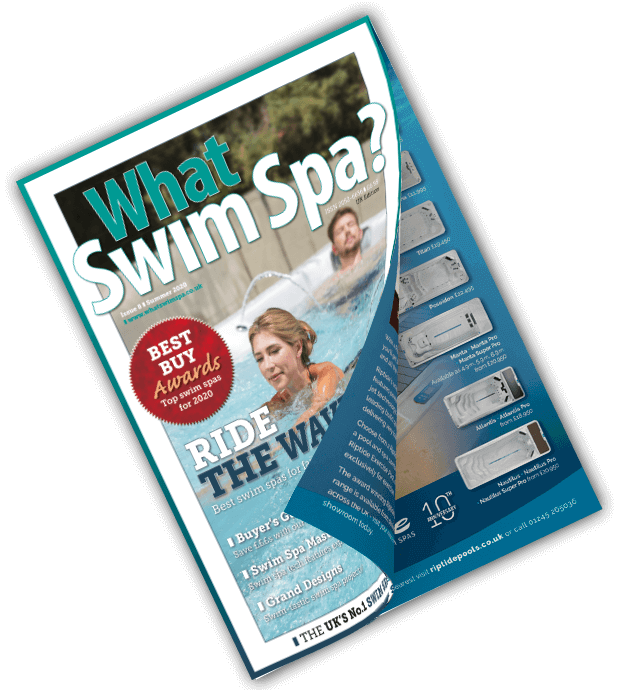 Simply hit Send and we’ll post your FREE copy of WhatSwimSpa? and bonus 40-page Retail Directory within 24 hours via Royal Mail. This FREE offer ends at midnight on 30th April 2019.